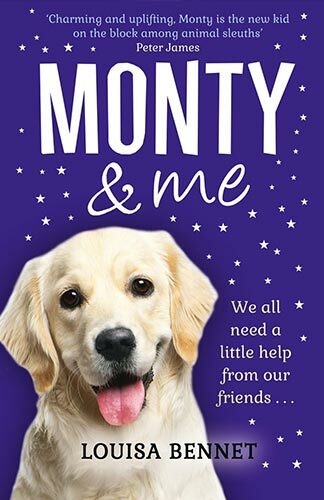 I can’t remember the last time I enjoyed a book as much as I enjoyed MONTY & me. There is murder, drugs, killer bees, rogue scientists, a jail break and yet, despite the sadness of loss, there was also a lot of fun with many laughs along the way as Monty solves the murder of his best friend and master, Paddy, with the help of his new friend, Detective Rose Sidebottom. The story opens with Rose, a new detective, being taken to task by her boss for allegedly stuffing up a long running drug case. As a result, she is assigned menial duties under a misogynistic, politically incorrect ‘show pony’ who is determined to see Rose back on the street in uniform. However, when a prominent scientist is found murdered, Rose is allowed to assist. The killer has severely injured Monty the dog and Rose is assigned to look after him. Rose has a special gift – her body tingles when people lie. However, Monty also has gifts, such as his amazing sense of smell; the fact that he understands English and several other languages including rat, owl, cow and a smattering of cat; and has friends like, Dante the magpie who is a computer whiz, Celeste the ladybird who runs the Celestial PI Agency, a shy bee attached to his cold water bottle and a rat who is multi-lingual due to his years in the Eurotunnel. Rose and Monty work together to solve the murder, save the world from killer bees, bring down a major drug syndicate and stick it up the ‘show-pony’. I now find myself looking more closely at insects and animals, especially dogs, in case they are trying to lead me to a murderer! I know that there are more adventures for Rose, Monty and his band of crime fighters and I can’t wait. This is a book for adults but one that young readers would also enjoy reading.